Jewish and Arab Youth Alumni Performers of the Polyphony Conservatory. There is indeed beauty and strength in diversity, but in order for people to appreciate it, diversity must be respected, understood and celebrated. All too often we see hear of negative reactions to diversity. If diversity challenges a person’s paradigm then the beauty of diversity can unfortunately be interpreted as threatening. As a result, the ugly side of human behavior can unfortunately manifest. We must also consider that if we want the future to change, we have to start with the youth. And since not every parent knows how to teach young people early on about the benefits of diversity if they themselves are fearful of diversity, we must consider other ways to reach the youth. An example where the future depends on the youth to promote diversity and coexistence is in Israel. How are the youth learning about populations of children that they have never played ball with, climbed a tree with, or shared candy with? At the present time as I am writing this article the headlines are swamped with news about personal opinions regarding Israeli settlements in the West Bank; President Obama’s actions at the UN Security Council; John Kerry’s comments regarding settlements in the West Bank; Prime Minister Netanyahu’s reaction and comments; and overall general sentiments that offer a very grim possibility for peace between Israelis and Palestinians. While the Israeli settlements in the West Bank is cited as an issue impeding peace in the region, with many Israelis and American Jews opposed to the settlements, it is not the sole issue hindering peace as there are many nuances to consider which requires honest investigation. As people look to identify these problems they often fall short because they do not do their due diligence by digging deeper beneath the surface where truth is buried. Identifying a resolution to the conflict between Israelis and Palestinians has been such an arduous task to achieve, and people have combed through the history of the region to look for answers. History documents the many years of wars, land disputes, border conflicts and changes to demographics, but it does not answer the pressing question as to why peace seems so out of reach for Israelis and Palestinians. While history books contain documented historical events and the dates that they occurred, it fails to list the human or psychological reasons for geo-political breakdowns. To answer these questions we have to stop focusing on dates and events and instead look at the issue from a humanistic perspective. In doing so, we can see more clearly that it is lack of trust that has driven the wedge and fear that keeps it locked into the Earth as both sides seek to preserve themselves from the fear of extinction by the hands of the other. This fear of extinction and the desperate reaction to self-preserve is able to linger and grow when two opposing sides do not communicate. When there is no communication, there is no understanding and therefore no respect. When people fail to respect others they often shut down and therefore their ability to empathize with the other is disconnected and when that happens the sense of caring for the other is absent. Without caring the sense of putting forth any effort to work on a relationship is non-existent. When groups of people are not working toward repairing a relationship then old resentments are free to linger and blend with newer resentments until forgiveness seems impossible. With so many negative factors dwelling within each society, honesty is compromised. Neither society can then look in the mirror and own up to the role that they have played in creating the past and current situation. It is then “the blame game” ensues with both sides pointing the finger at each other and gaining allies to each of their camps, while objectivity and neutrality is scarce because each side cites a trespass committed against them by the other. It then becomes a matter of which narrative an observer identifies with the most when they choose a side to take. The true unbiased narrative is the fact that no one is communicating because there is no attempt to trust and therefore nothing changes. One learning tool that fosters understanding and respect for diversity is travel. 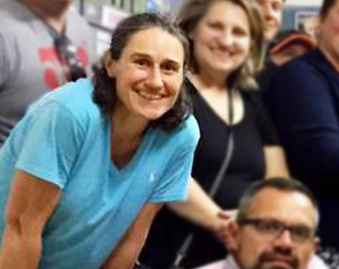 In November 2016, I traveled to Israel with a group of LGBTQ Leaders with a non-profit organization called A Wider Bridge. The mission of A Wider Bridge is to promote awareness, exposure and learning between LGBTQ American Jews, and non-Jews, with LGBTQ Israelis. 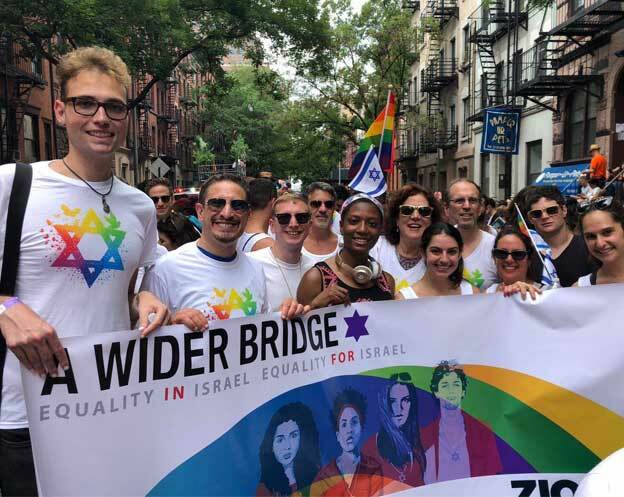 A Wider Bridge organizes cross geo-socio exchange programs where trips are organized for Israeli LGBTQ groups to travel to cities in the United States and American Jews and non-Jews travel to Israel and learn about it’s people, country and LGBTQ issues. With the programs that A Wider Bridge organize one is exposed to nuanced issues where more context is provided than a newspaper headline would because it involves personal face-to-face interactions. The trip with A Wider Bridge that I went on in November 2016 had a visit to the Polyphony programed on its itinerary. The Polyphony is a first-ever classical music Conservatory that began in the Arab-Israeli city of Nazareth in 2006, and has grown over the last ten years into a unique community across Israel. 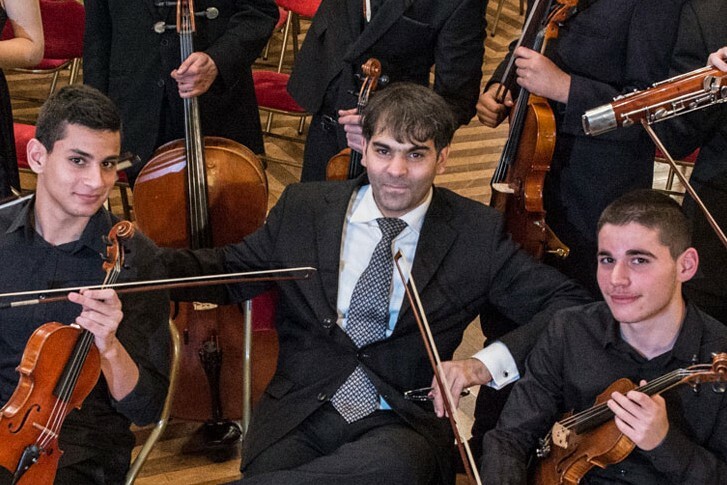 The goal of Polyphony is to create classical musical opportunities through a program that brings together Arab and Jewish youth to appreciate, learn and perform classical music while discovering each other’s humanity. In doing so, it creates a new kind of community where youth can connect through music against narrowing identity issues.